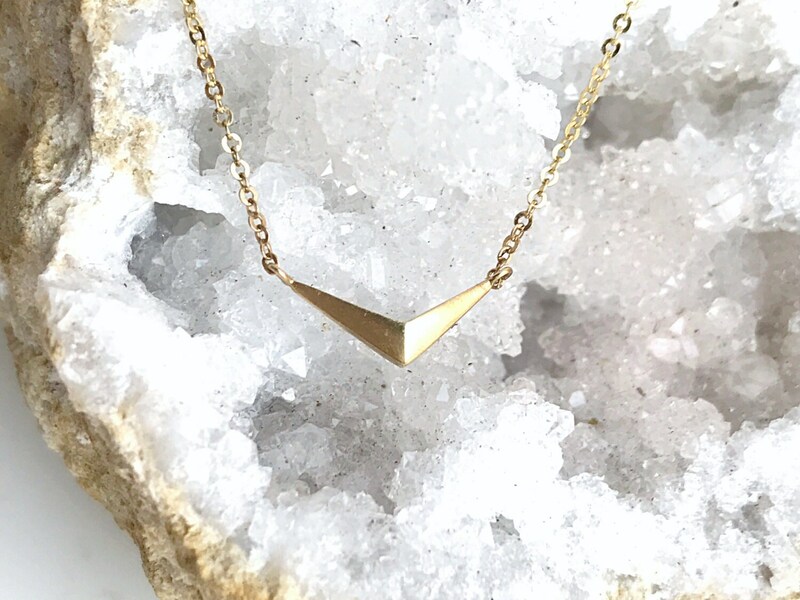 Part of the Hope and Unity Collection, this three dimensional modern take on wings is hand carved to perfection and casted in solid 14 karat gold. 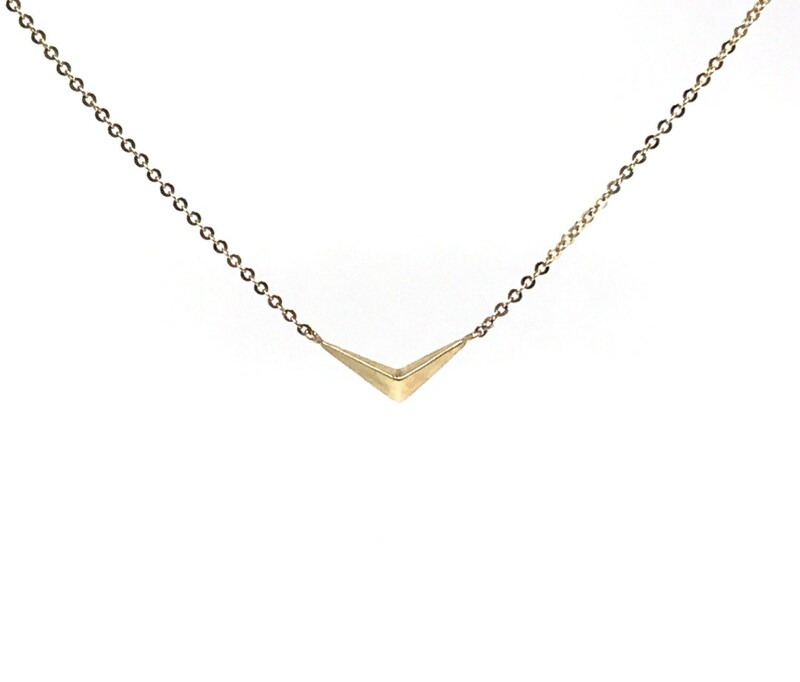 Hanging on a sparkly 16", 18" or 20" diamond cut 14 karat gold chain. 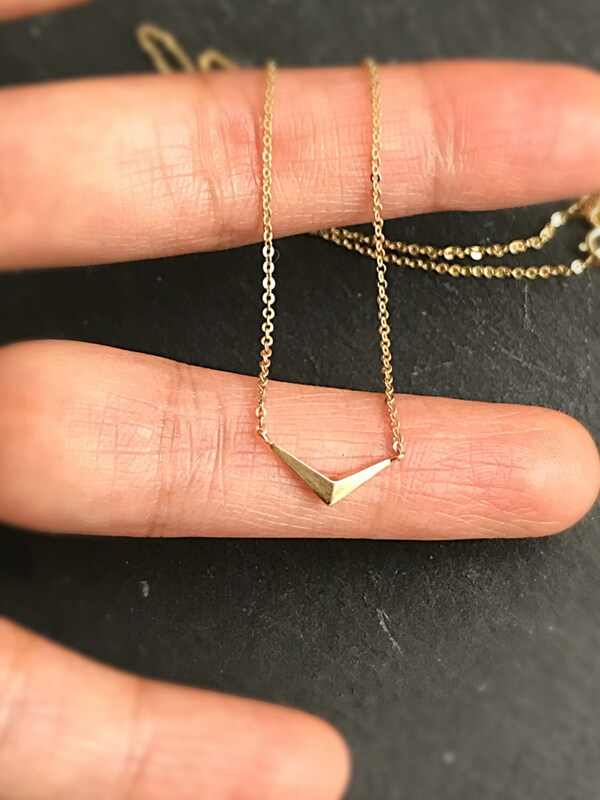 This dainty geometric version of an iconic symbol of freedom, hope and faith measures just 1/2" wide. 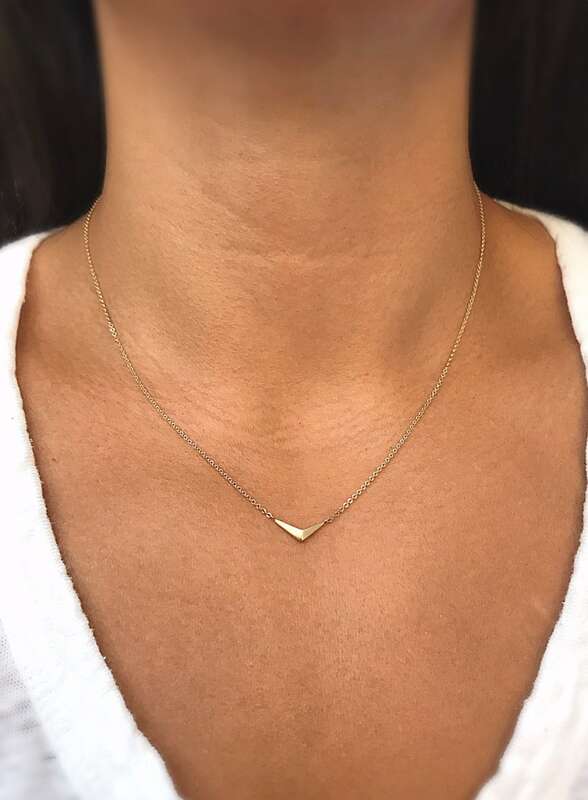 Wear alone or stack with longer necklaces. Also available in 14 karat rose gold. Handmade in NYC. 10% of every purchase of Paperclip necklaces, Paperclip bracelets, Safety Pin bracelets, Safety Pin earrings and Modern Wings Necklaces will be donated to charity.